The 149 guest rooms have been redesigned with a crisp, modern look and unparalleled comfort. You’ll find it all here: Exquisitely designed custom furniture, European-style bedding, high-tech lighting fixtures, LCD flat screen televisions and wireless high-speed Internet access. There hasn’t been as much riverboat excitement on the Mississippi River since the nineteenth century, when the waters were crowded with these picturesque vessels. 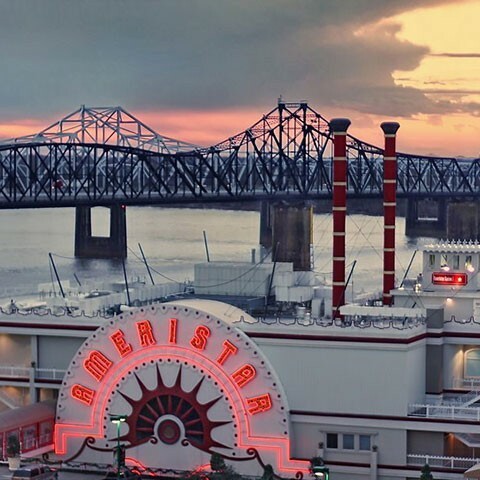 Ameristar’s 70,000-square-foot riverboat casino has brought nonstop action to Vicksburg, including over 1,500 of the latest and most popular slot machines, 27 table games, a ten-table poker room and variety of exquisite dining options. And this just wouldn’t be Mississippi if there wasn’t great music – check it out at our classic blues bar. With more than 1,500 of the latest and most popular slot and video poker machines, we offer more games, in a wide variety of play denominations, than any other casino in the area. You’ll find everything, from penny slots all the way up to the $100 machines, in the High Limit slot area on our casino floor. Offers the widest selection of video poker around including single or multi-hand video poker. Look to Ameristar Casino Hotel Vicksburg for all of your favorite casino table games and a variety of table limits. Enjoy Blackjack, Craps, Roulette, Let It Ride and Three Card Poker, to name a few, as well as the latest specialty games like Min-Bacc. Dealers are ready to count you in. Just pull up a chair and let the games begin!